After a long hiatus, Jonathan Hanks returns with a guest-essay on Brett Kavanaugh, Elizabeth Warren, and the carnival freak show that American politics has become. The past few weeks have been a tumultuous time for the nation. With the extraordinary spectacle of the Kavanaugh hearings we were all brought to the brink: not only of losing our democracy, but our collective sanity, as well. You, and I, and millions of other decent and concerned citizens from wide-ranging points of view were horrified, and spent many sleepless nights over the Kafka-esque and circus-like atmosphere which commandeered not only the confirmation proceedings, but the life of the nation itself. Supposedly wise and prudent lawmakers publicly undermined the bedrock of our Constitutional Republic, all while poring over high school yearbook entries from the early 1980s with the gravity one might have expected from a Stalinist tribunal. And then, when it seemed like we were right at the breaking point, Sen. Susan Collins of Maine stepped onto the senate floor and addressed her colleagues, and her fellow citizens, and the world — and dispassionately, and intelligently, and articulately brought us back to our senses. She reminded us that the rule of law was vital, and the presumption of innocence was paramount, and just as importantly she reminded us that we, too, believed these things. And we all breathed a collective sigh of relief. Ladies and gentlemen, may I present, Senator Elizabeth Warren. In one fell swoop, and in what must be one of the most ill-advised political stunts in recent memory, we were finally free to do exactly what was needed most: Laugh! Within hours of these solemn and pretentious and supercilious pronouncements that somewhere far in the distant past, somehow one thousandth of a remote ancestor’s DNA had managed to make its way into her genetic makeup (and thereby made her way up the academic ladder a whole lot easier), the well-deserved cacophony of contagious lampooning and old fashioned belly-laughter broke out. Names like Faux-cahontas, and Liar-watha, and Fake-agawea were freely bandied about in public: we all started cackling like a high school sports team who’d drunk a few too many brewskies after a Friday night game. But it was OK, because this was just the medicine that the nation needed most. You see, sometimes the lie is so great that the best and only effective retort is hilarity. And people with a functioning Bill of Rights can afford to laugh. So thank you, Sen. Collins and Sen. Warren. Each of you had your part to play in our national healing, by reminding us who we are. This entry was posted in Civil Liberties, Culture Wars, Media, PC/MC, Politics, Stupidity, USA, You can't make this [redacted] up by Baron Bodissey. Bookmark the permalink. Dems have moved from “never let a crisis go to waste” to creating crises where there are none. Thus is Pelosi (and her pals) threatening to unseat Justice Kavanaugh should she become Speaker again…which will only happen if the Dems win back some seats in the mid-terms next month. Easy to say, not so easy to do. I understand even if an impeachment passed the congress, passing the senate would be harder with 60 votes in favour needed. Which seems unlikely. So to pursue the attempt to unseat Kavanaugh just looks like more pointless political theater. Agreed. It’s just something they say to get left wing radical votes. Dr. Steve Turley, to whom Gates of Vienna occasionally links, actually described the situation quite well. He described the current rabid responses of the media, the monied elite, and the leftists, as the immune system of the old order kicking in. Trump and the populism movement represented a threat to the existence of the old, comfortable, crony capitalist, globalist Deep State military industrial complex. welfare state. The immune system represented the response of the establishment when presented with a threatening, foreign object getting under their skin, so to speak. 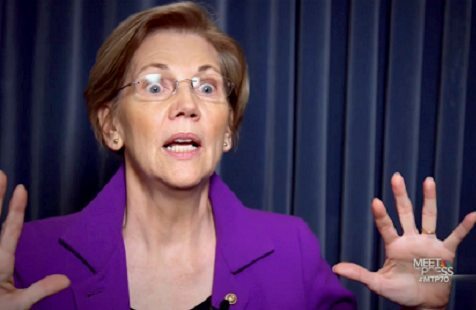 The base constituency of the Democratic party, the fringe, welfare-consuming groups, the college-educated, liberal arts degreed socialists, and the liberal religious groups such as reform Judaism, Methodism, Menonites, and Vatican Catholics, will not understand, appreciate, or care about the clownish aspects of Warren’s “Stolen Valor”. To them, it’s a pillar of their world view. In other words, their thought processes are simply different from ours. Briefly, do not expect a liberal to laugh, regardless of how ridiculous the claims of tribal membership or denials of the very obvious benefits, are. Except, there is no national healing. The anti-Kavanaugh crowd and the supporters of Chief Spreading Bull will neither be educated, convinced, nor appeased. Yesterday, I received from Senator Diane Feinstein’s office a reply a complaint I had submitted to Senator Feinstein about her role in the “L’affaire Kavanaugh.” The response under Feinstin’s signature that I received was dismissive, antagonistic, and indistinguishable from the sharp rhetoric that Feinstein had been spewing in the days and weeks before Kavanaugh’s confirmation. Thank you so much for that post. The snippet was hilarious. I just can’t believe that it was created BEFORE the Warren debacle. The funniest part is when the nationalities morph quickly into “victim” identities. Ha! Based on the Republicans’ pushing of their agenda through the entire government, what I’m seeing is the proper functioning of the American republic for the first time in at least two generations.